1. Rinse chickpeas in cold water and put in a large bowl. Pour water to cover chickpeas by 3 to 4 inches and soak for 24 hours. Beans will triple in volume as they are soaking. Check to see if you need to add water to keep the beans covered. For soaking chickpeas better use soft filtered water. 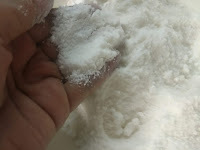 If you don’t have it, dissolve 1 teaspoon baking soda in water. 2. Rinse chickpeas carefully after soaking and put in a big pan. Pour with water to cover chickpeas by 2-3 inches and place pan on a high heat. Bring to the boil, reduce the heat and cook on a low heat about 2-4 hours. After drain (collect the broth!) and pour with cold water. Lightly “massage” chickpeas to remove the skin of chickpeas. With small sieve take out skin of chickpeas from the water. 3. Drain chickpeas and put in a large bowl. Grind cumin seeds and salt in the mortar. With food processor puree your chickpeas until smooth. Add some broth during processing, to get more creamy consistency. Put tahini paste, garlic and salt with cumin seeds. Pour lemon juice and olive oil. Process well to combine all ingredients well. Try your hummus and add some lemon juice, olive oil or spices if necessary. 4. 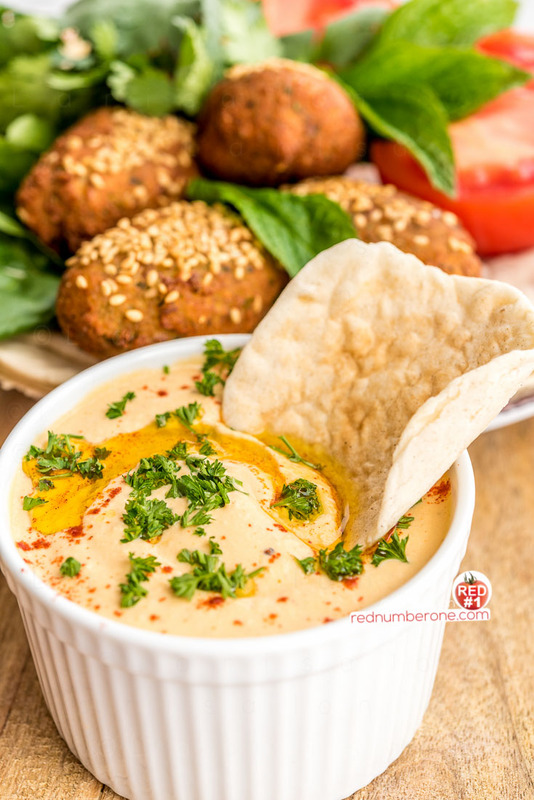 Serve this delicious homemade hummus in a bowl or plate, drizzle with olive oil, sprinkle with paprika and decorate with parsley leaves. Homemade hummus is very tasty with pita bread, falafel, fresh or grilled vegetables, meat, fish or poultry.